The 2019 Festival will run from Friday, 24 May to Sunday, 2 June Dumfries & Galloway Arts Live, runs year round, for current listings see www.dgartslive.org.uk Follow our events on FACEBOOK Who we are and what we do Dumfries & Galloway Arts Festival Established as the region’s premier calendar entertainments event since 1979, the Dumfries and Galloway Arts Festival is Scotland’s largest rural performing arts festival, with more than 170 artists performing at 82 events in 42 venues across the full breadth of the region. Our mission Dumfries & Galloway Arts Festival brings the performing arts to the region, engaging with our artists and venue managers to create and stage performances which are vibrant, surprising and far-reaching. We are also extremely grateful for the support of both local and national sponsors – businesses who contribute greatly to the delivery of quality events that the region can be proud of. Financial support is available for artists, venues and promoters in Dumfries & Galloway who would like to put on a quality performing arts event. The next call for applications will be in the summer for events taking place March 2020 to August 2020. The region’s venues and promoters are being encouraged to apply for financial and advisory support to help deliver the next season of performing arts events. Stewartry six-piece band Café Largo are helping to raise funds for their local church by holding a Swinging ’60s night. The Dumfries & Galloway Arts Festival has been running for 39 years, bringing a range of theatre, music and performing arts to the region. Recently, The Festival has expanded its reach, targeting young people through STAGE iT, their Young Promoters Group. There’s yet more to come for the region’s contribution to the Year of Young People 2018 which has just been announced by the Young Promoters Group (YPG), managed by Dumfries & Galloway Arts Festival, Scotland’s largest rural performing arts festival. Join the Young Promoters Group! Are you aged 15-25? Would you like to influence which events happen near you?Do you enjoy watching live performing arts events? 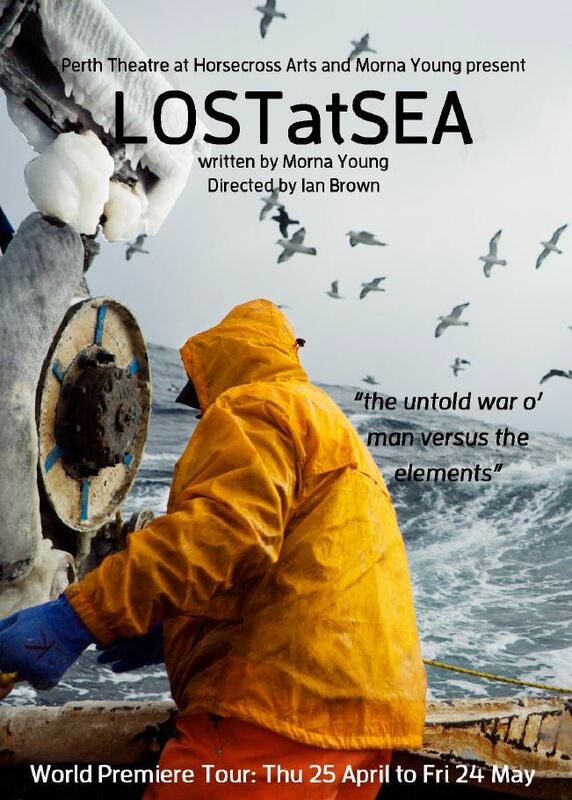 The Lost at Sea Play written by @mornayoung will open its curtains from the 25th April at Perth Theatre. Established as the region’s premier calendar entertainments event since 1979, the Dumfries and Galloway Arts Festival is Scotland’s largest rural multi-artform festival with over 200 artists performing at 85 events in 48 venues across the full breadth of the region. Each year, the festival involves a lively and varied programme, showcasing an eclectic range of top-billed performances in music, drama, dance, arts and literature in a selection of venues from the tiny, intimate Swallow Theatre to the grandeur of the Easterbrook Hall and a wide outdoor stage on the banks of the River Nith. The festival has an excellent reputation for bringing top quality world-class performances to rural locations at the end of May each year. Musical events range from unforgettable operas, to classical, jazz, traditional, contemporary and world music that are usually only experienced in the world’s city venues. Dance, the world of books and ground-breaking theatrical performances are also mainstays of the yearly programmes, as are some well-established mini festivals in literature and song and an exciting and lively fringe. get involved New members and patrons are always very welcome. Benefits include priority booking and an invitation to the Festival Opening, with Patrons receiving a free ticket to a Festival event. Please click on Membership in the menu or contact us for full details. We are also extremely grateful for the support of both local and national sponsors – businesses who contribute greatly to the delivery of quality events that the region can be proud of. We look forward to seeing you at the Festival!